It could be the sound of an evil, mastermind, rubbing his hands together in anticipation of a patiently prepared plan being, finally, executed. Or it could be the sound of another order being placed with Knit Picks. Nothing genius or sinister... unless it is. When I went to order my winter yarn I had the intention of getting lots of brights colors. But I thought about the bright yarn I still have to work up, and about the insane yellow and aqua pairs of pants I got to wear with my sweaters, and decided subdued would be best. So I'm going with some creamy and charcoal tweeds, tonal blues, gray, and maybe... just maybe... I'll win some cherry bomb yarn from one of the giveaways for the knitted shorts. If not, I'm buying it. So, when I looked at my Ravelry queue, I realized that when this order comes in I'll have the yarn for the first eighteen projects. I feel guilty as I type that. I'm not buying it all at once or anything. I already had most of it, but still... first world guilt. Only knitters would understand that guilt. Regular people would just feel sad for me that I feel guilty for buying a bag of yarn. In my defense, I have been mowing through my stash and have yet to hurt anyone with my habit. Which brings me to these photos of the tank knit along. 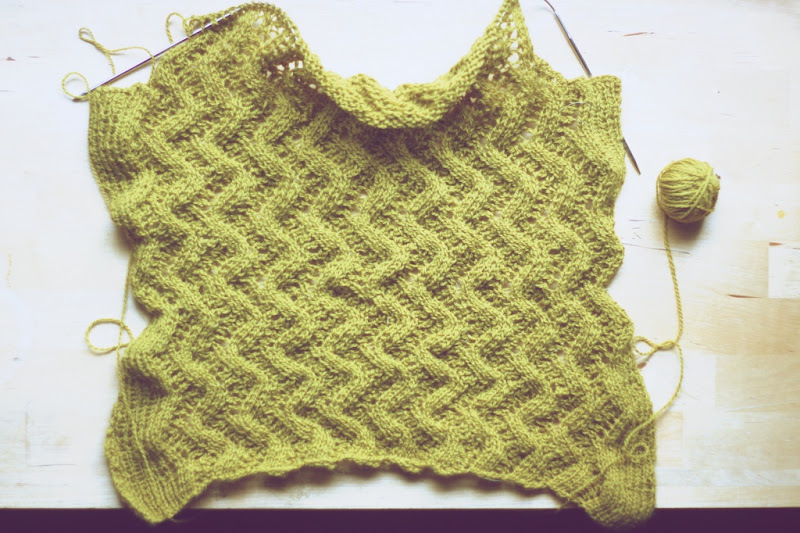 I was behind last week, but now I see that I've accidentally moved ahead of the weekly assignment by completing the armhole shaping. It's still looking mighty small, but when I stretch the lace out, it is the right dimensions. Besides everyone else in the group has a tiny looking tank too at this stage. 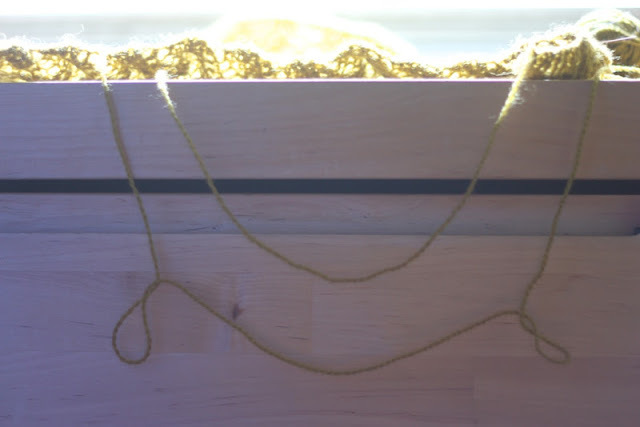 In fact, these progress shots, forum support, and how to videos are probably why I've been knitting so many projects from Holla Knits, besides the cute factor. So, I'm close to finishing this, this, and this then I'll have the needles free for this, this, and this. And this. And this. Do you hate me for my excessive linkage yet, my one reader?